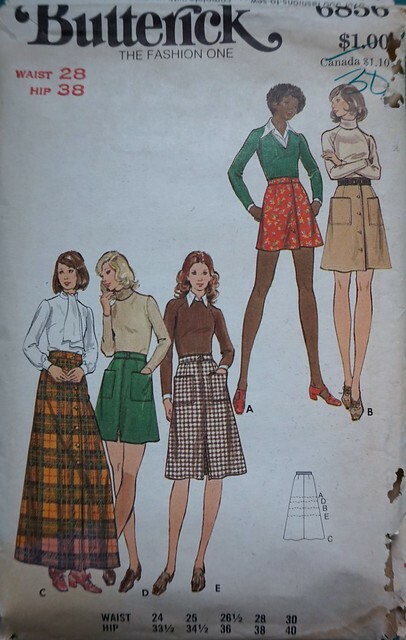 As you know I’ve made a pledge to sew up 5 garments using vintage patterns this year. Up to this point I’ve sewn up one, so I figured I should get moving on another one already! 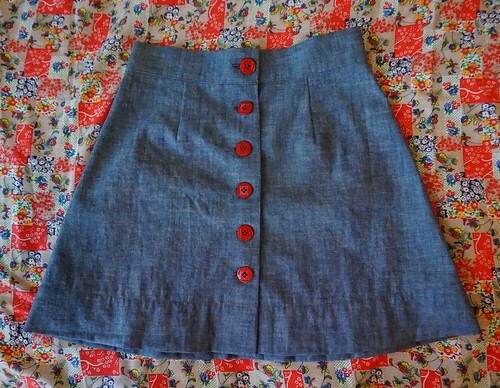 I decided I wanted to sew up a skirt since all I’ve been sewing up are tops, and I desperately need some skirts. After looking at the finished measurements, I chose view A. I’m short, so view A on me will look like view B on the pattern picture. I wanted to start with a wearable muslin because one, I want to be able to wear something, even if it is temporary, and two, I haven’t sewn anything for my bottom half in like 20 years, so there’s some apprehension I need to get past. The fabric I chose is thin and also has some crispness to it, not very soft, and I wouldn’t be upset if I had to scrap it. It also would match lots of different tops. My waist is 27″, and although the pattern is made for 28″ waists, I decided not to make any alterations to the pattern beforehand. In all honesty, after eating lunch I’m sure a 28″ waist would come in handy! I made the pattern according to the instructions which were very easy to follow. The only thing I came up against was how to ease in that full bottom hem! 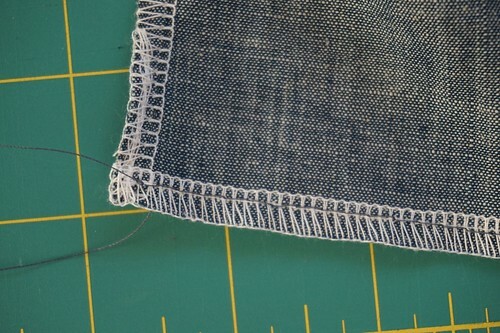 There’s almost a 3″ bottom hem, so after having serged the bottom (completely forgetting the fullness of the hem), I stitched a basting stitch along the hemline to ease the fullness. 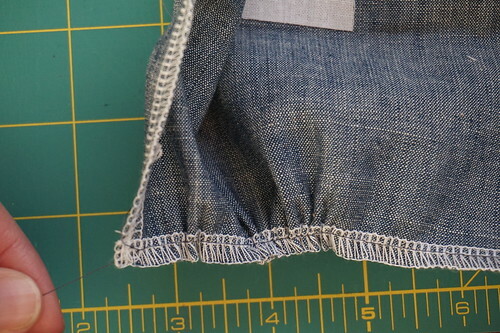 You can see the left side has lots of loose fabric, and right side has been eased. After pressing, I added bias tape to finish the edge. 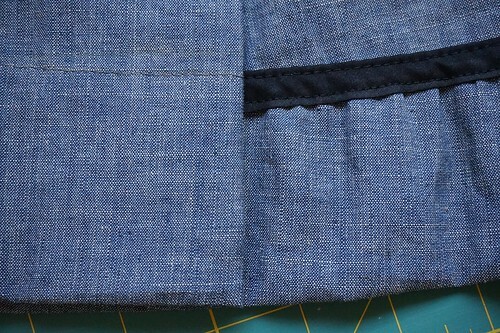 You can see the bias tape hem on the right, and the right side stitch line on the left. 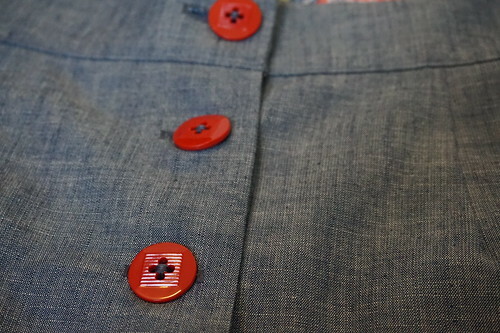 I love the color of these buttons, especially how they pop next to this blue fabric. 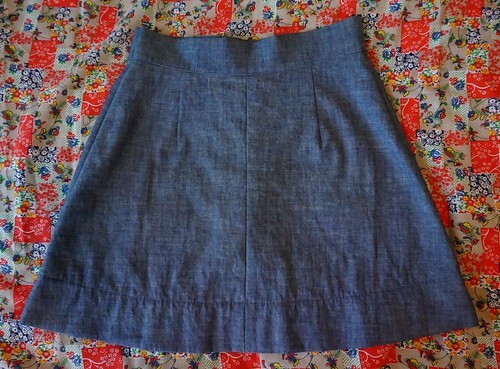 The skirt felt a little big at the end, so I took it in a 1/4″ at each side, which effectively removes the 1″ from the beginning pattern. I really hated the way this looked, and it felt a bit snug, not to mention the bulky side seams, so I decided to go back and remove this. The skirt is too thick to take in less than 1/4″ at the sides, so I think I’ll just make note of this for the next skirt I make with this pattern. 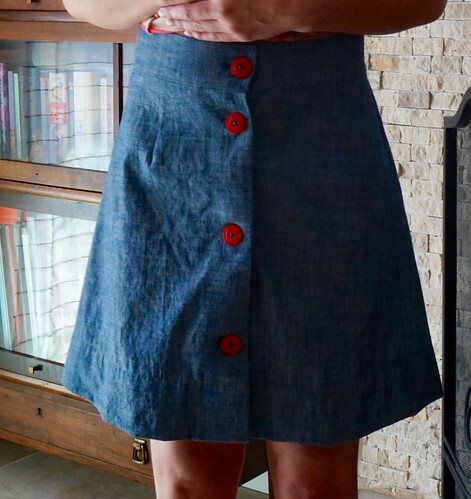 Overall, I wasn’t crazy about the way this skirt looks with this crisp fabric, although it does help the skirt hold its A line structure. 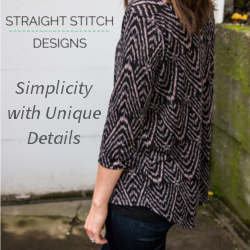 I’d rather have something with a softer drape.